The Mists of Ravenloft™ expansion will be purchasable in March 2018 for points in the DDO Store. I bought the pre-purchase. What Items do I get right now? All other content and items will be delivered on day of launch, December 5th, 2017. In the event of delay, you will receive the expansion content and items no later than January 5th, 2018. How do I add the expansion to my existing DDO account? After purchasing the expansion, a product key code will be sent to the email address you used when completing your purchase. Log into the game and redeem your code in the DDO Store. You can apply your product key at any time before, during, or after Mists of Ravenloft launch. Special Note: For the Ultimate Fan Bundle, you will receive a second product key code for 60 days of VIP, and for Collector’s Edition a 30 day VIP product key. VIP access begins once you redeem the VIP product key in the DDO Store. I got a key for my Survivor’s Package – how does that work? Be sure to log all the way onto your character before you apply it, and on the character that you want to receive the Survivor’s bundle. I’m already a VIP. When does my 30 or 60 days of additional VIP time apply? If you’re already a VIP, it will be appended to the end of your current VIP term, pushing out your next billing date out 30 or 60 days. Am I allowed to give my VIP code to a friend? Yes. Make sure you are giving them the VIP code and not your Expansion code by mistake! If I don’t pre-purchase the expansion, can I still buy the expansion bonus items at a later time? 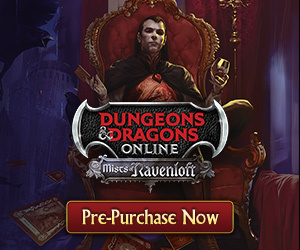 At this time, the Standard Edition, Collector’s Edition, and Ultimate Fan Bundle will remain available after the Mists of Ravenloft’s launch day. While the expansions will still be available in the DDO Market, please note that you will be unable to purchase the additional exclusive items through the DDO Store for store points. I pre-purchased the expansion but I didn’t get a product key, where is it? Your product key will be sent to the email address you used when completing your purchase. Remember to check your Spam / Junk mail folders. What’s new about the Aasimar Race? The new playable race in DDO comes with its very own unique appearance, race tree, bonuses, and racial feats. The race is available in every bundle option for the expansion. This unlocks the race on your whole account. 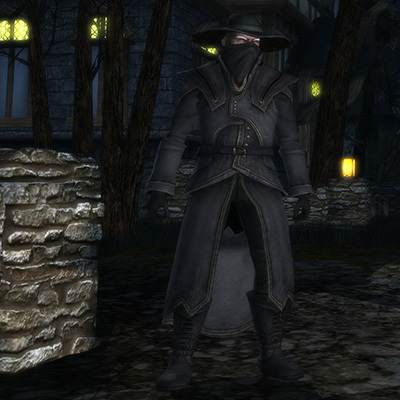 What do the Barovian Cosmetic Outfit/Hat look like? 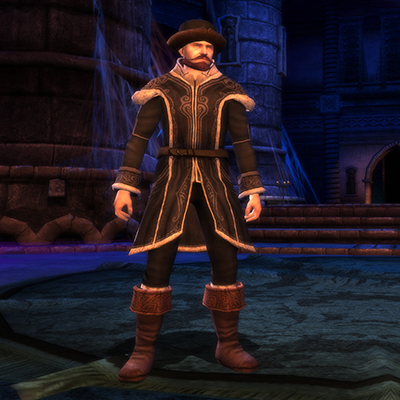 The Barovian Cosmetic outfit and Hat is available in the Collector’s and Ultimate Fan Bundle. What do the Vampire Hunter Outfit/Hat look like? The Vampire Hunter Cosmetic outfit and Hat is available in the Ultimate Fan Bundle. What does the Exclusive Cosmetic Pet: Black Cat, look like? 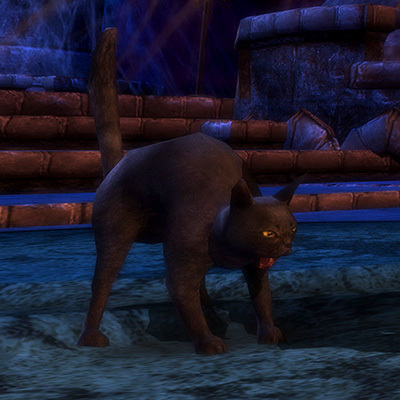 The Exclusive Cosmetic Pet: Black Cat is available in the Collector’s and Ultimate Fan Bundle. 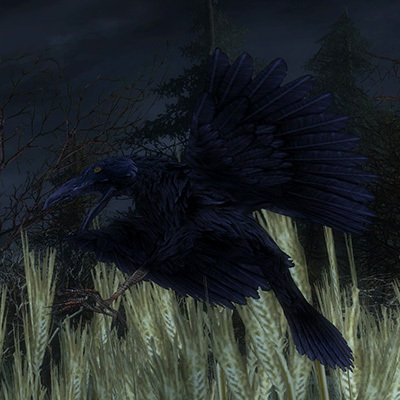 What does the Exclusive Cosmetic Pet: Raven, look like? The Exclusive Cosmetic Pet: Raven is available in the Ultimate Fan Bundle. What’s special about the Scarecrow Hireling? 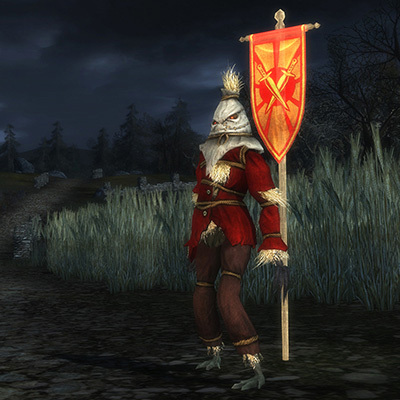 The Scarecrow Hireling comes in 2 level: Heroic (Level 10) and Legendary (Level 30). These are permanent and will be received on every character you create on your account. The Heroic Hireling is available in the Collector’s Edition and Ultimate Fan Bundle. The Legendary Hireling is available in the Ultimate Fan Bundle. How does the Teleport to Barovia work? This is an inventory item that you can click which will teleport you to one of the public taverns in Barovia. This is permanent and will be received on every character you create on your account. What is the Weapon Aura: Mist and how does it work? Mist is a Glamered Weapon Aura. Players will double-click on the Aura item in their inventory, then place the Cosmetic Weapon they want to add the aura to into the UI which appears. This is permanent and will be received on every character you create on your account.